Plasmapheresis is sometimes used as a therapy in several neurological diseases including MS, especially during an acute relapse that is not responding to corticosteroids. It's a fairly painless procedure, and side effects are rare. Plasmapheresis, also known as therapeutic plasma exchange, is a procedure in which a machine outside a person's body removes blood from the person and then separates out the plasma component of blood — plasma being the liquid or fluid portion of blood. Then the plasma is discarded and replaced with a different type of fluid, usually donor plasma or albumin solution, before being returned back to the person. What Is the Goal of Plasmapheresis? The goal of plasmapheresis is to remove harmful or "bad" stuff out of the blood. In the case of MS, these can be immune system factors that are attacking the central nervous system. During plasmapheresis, needles will be placed in both of your arms, or sometimes into another location, like the neck, if the veins in the arm cannot be accessed. Blood will then be drawn out of your body through the needle in one arm. An anticoagulant (usually citrate) is added to the blood to prevent it from clotting. 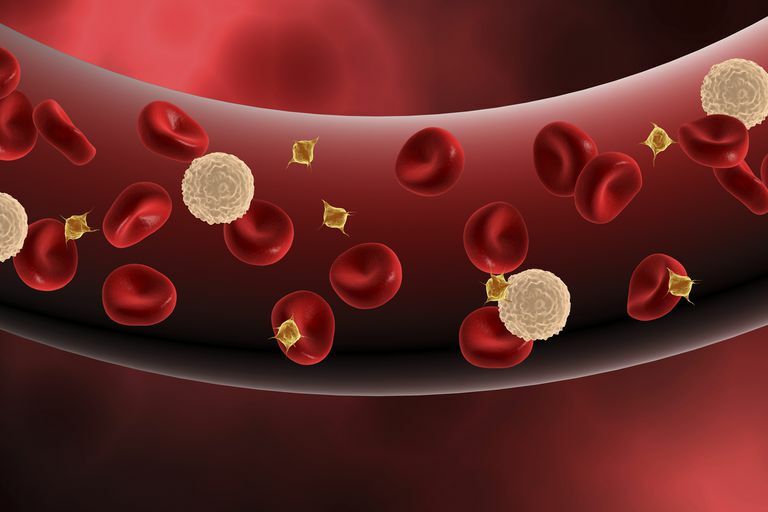 Your blood will then go through a tube into a "blood cell separator." A blood cell separator is a centrifuge that isolates the plasma from the other parts of your blood, which are the cellular components (consisting of red blood cells, white blood cells, and platelets). The cellular components are then combined with the replacement donor plasma and returned back to you through the needle in the other arm. In some cases, this is done through one needle and the separation and remixing are done in small batches. All of the steps mentioned above happen automatically and continuously. The experience for the patient is similar to having two IV-type needles/catheters in place and watching blood go out of one side, through a machine, and back into the other side. The whole procedure takes between 2 and 4 hours to complete. People may feel a little dizzy or light-headed from the procedure. Also, some people report that the anticoagulant added to the blood or some of the replacement fluids used cause tingling or pins-and-needles sensations in the fingers and toes. There can also be a sour taste in the mouth. There may be a little nausea and fatigue. Serious side effects from plasmapheresis are rare. The most dramatic of these is anaphylaxis, which is a severe allergic reaction to the plasma replacement fluid. This is one of the reasons why plasma exchange is done within a monitored setting. Infections from plasmapheresis are rare, especially using the new technology and sterile replacement fluid. However, people may be slightly prone to catching something after plasmapheresis, as many immune cells are removed, and the person may be mildly immunocompromised. Plasmapheresis is generally a safe and well-tolerated procedure done. That being said, it's not used often in MS -- just when a person's acute MS relapse is severe and does not respond to a typical steroid treatment regimen. Plasmapheresis is not used to treat primary or secondary progressive MS.
Cortese I et al. Evidence-based guideline update: Plasmapheresis in neurologic disorders: Report of the Therapeutics and Technology Assessment Subcommittee of the American Academy of Neurology. Neurology. 2011 Jan 18;76(3):294-300. Fridey JL, Kaplan AA. "Prescription and technique of therapeutic plasma exchange." UpToDate. Updated March 31, 2010.